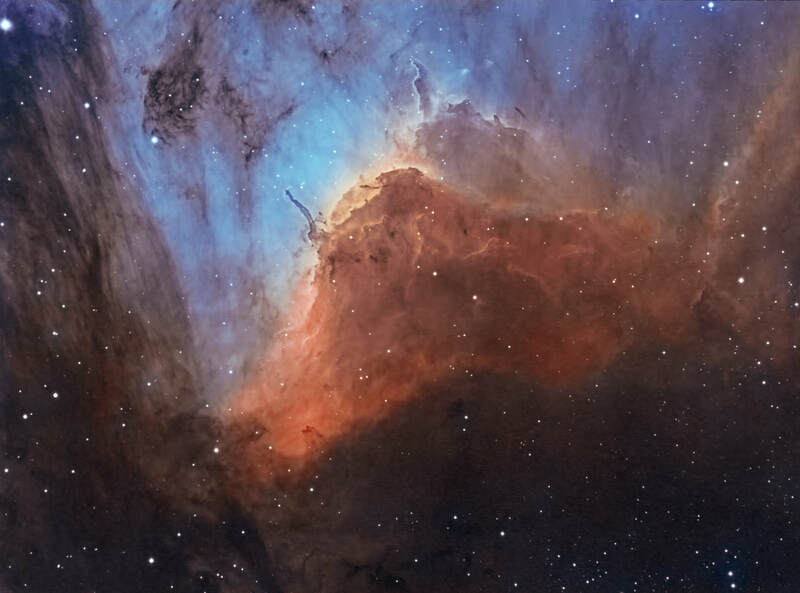 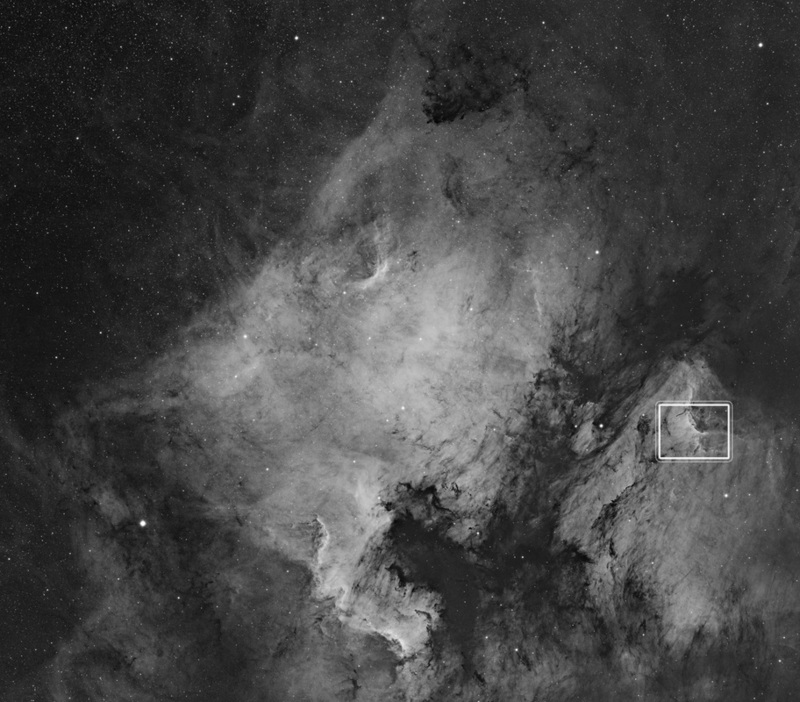 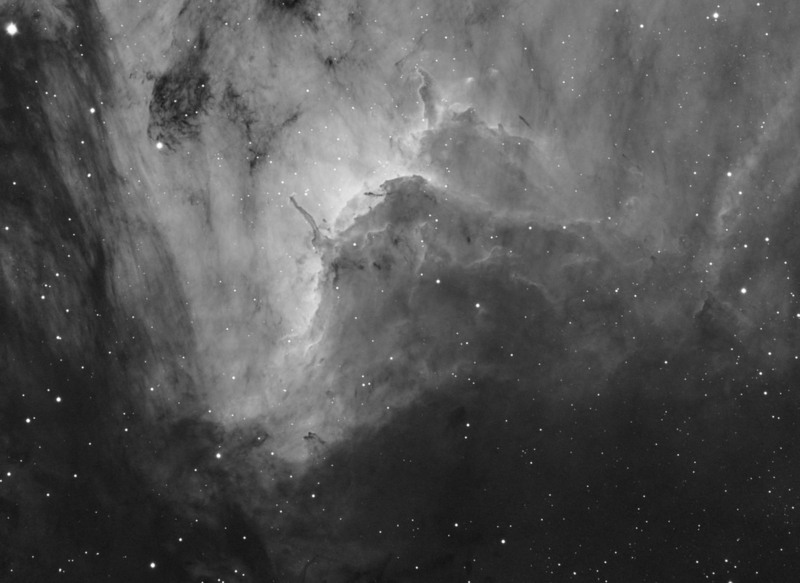 IC5070 (the Pelican nebula) is located in the constellation of Cygnus at approximately 1800 light years from Earth. 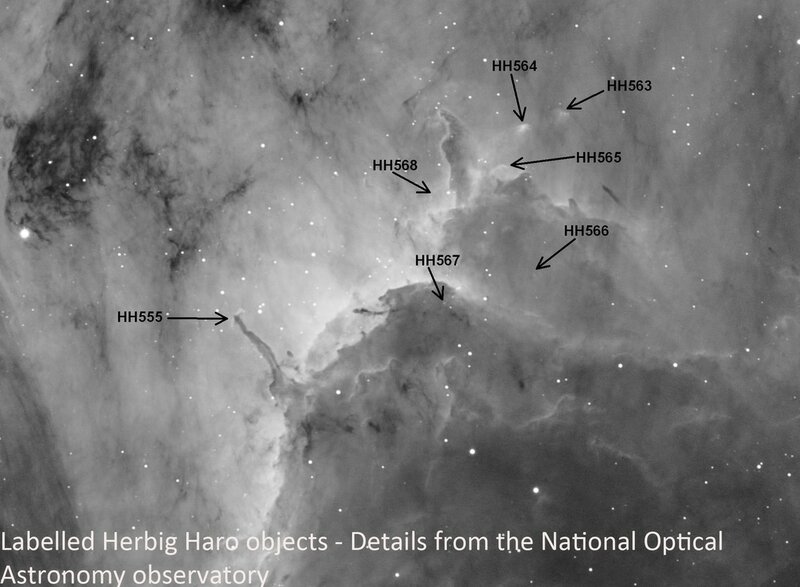 You can see on the right of the image a large pillar of gas and at the tip of this is a Herbig-Haro object. Herbig-Haro 555 is a narrow jet of gas and matter, ejected by newly born stars at speeds of several hundred kilometres per second. 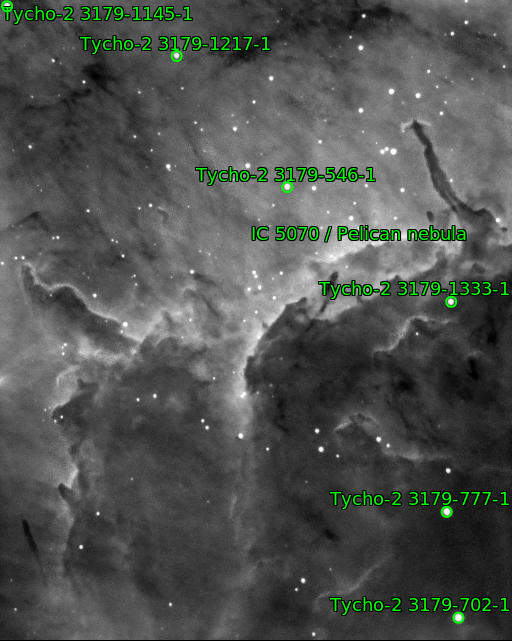 It collides with nearby gas and dust in the interstellar medium, producing bright shock fronts that glow as the gas is heated by friction while the surrounding gas is excited by the high-energy radiation of nearby hot stars.